Soror April Adams, Soror Jasmine Edwards and Soror Crystal Smith of the Theta Rho Chapter graduated from Kennesaw State University on May 11, 2016. Soror Adams received a Bachelor of Science in English Education (3.52 GPA). 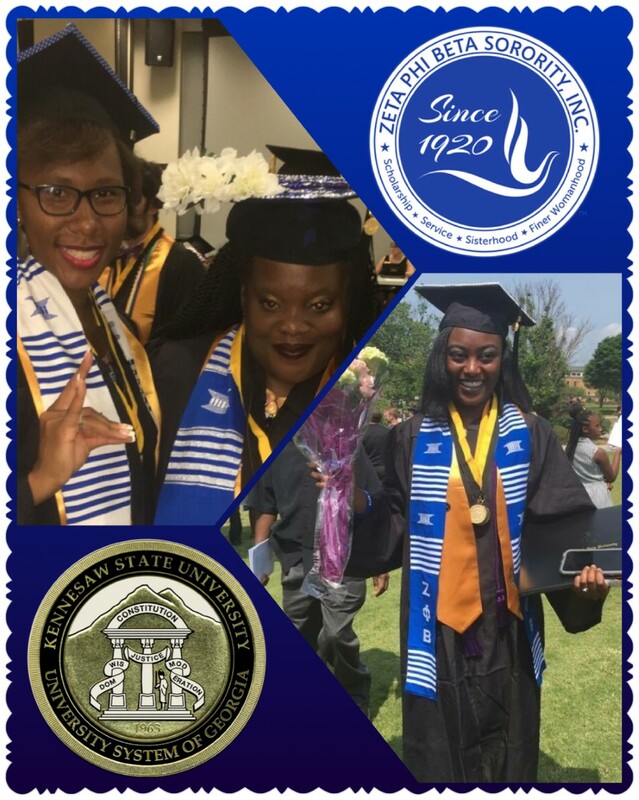 Soror Edwards received a Bachelor of Science in Early Childhood Education (3.13 GPA) and Soror Smith received a Bachelor of Science in Communication-Public Relations, minor in Criminology (3.04 GPA). Theta Rho continues to maintain their status as highest GPA of all Greek Organizations at Kennesaw State University.